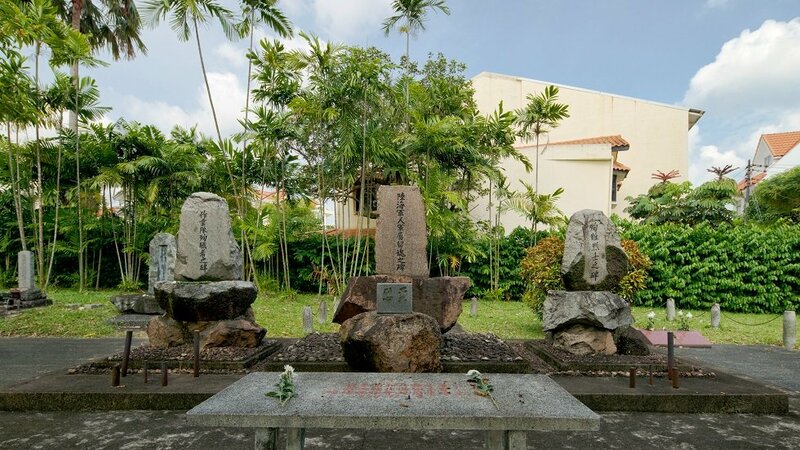 Memorial stones at the Japanese Cemetery Park in Singapore, memorialising those who had served in the Japanese work corps (left) and in the Japanese army and navy (middle) during World War II, as well as those who had died during the war effort (right). Image taken 2016, courtesy of © Sng Kiat Peng, reproduced with permission. 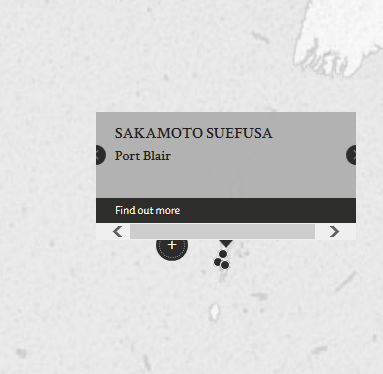 The defendant, Chief Petty Officer Sakamoto Suefusa, was charged with the killing of Jit Umar, a civilian resident of Port Blair. A small party of coolies, which included the second prosecution witness, Mala, were passing by the location of the crime when they encountered Jit and Sakamoto. Jit was explaining to Sakamoto that he did not steal sweet potatoes or sugar cane (the object of theft was disputed during the trial). The coolies, including Mala, were allegedly ordered by Sakamoto to dig a trench. Thereafter, Sakamoto proceeded to shoot Jit, and directed the coolies bury his body. Sakamoto was acquitted as the prosecution was unable to prove the charge. This was largely due to the lack of credibility of the second prosecution witness, Mala. The defence counsel pointed out multiple inconsistencies between the Mala’s statements, testimony and statements from another witness. These included, inter alia, Mala somehow being able to provide the date of the crime despite not knowing the months of the calendar, the number of shots fired and whether the vitcim, Jit, was accused by Sakamoto of stealing sweet potatoes or sugar cane. Sakamoto, Suefusa. Chief Petty Officer. From Japanese military. From Japan. Not guilty. Culley, G. C. H. Lieutenant Colonel. From British military. Court president. Solicitor. Fouracres, M. C. M. Major. From British military. Hasan, Teufiq. Captain. From British Indian Army. Mancherjee, B. Captain. From British Indian Army. Barrister-at-law. Tokunaga, Masaji. Prosecutor of Local Courts, Tokyo, Japan.